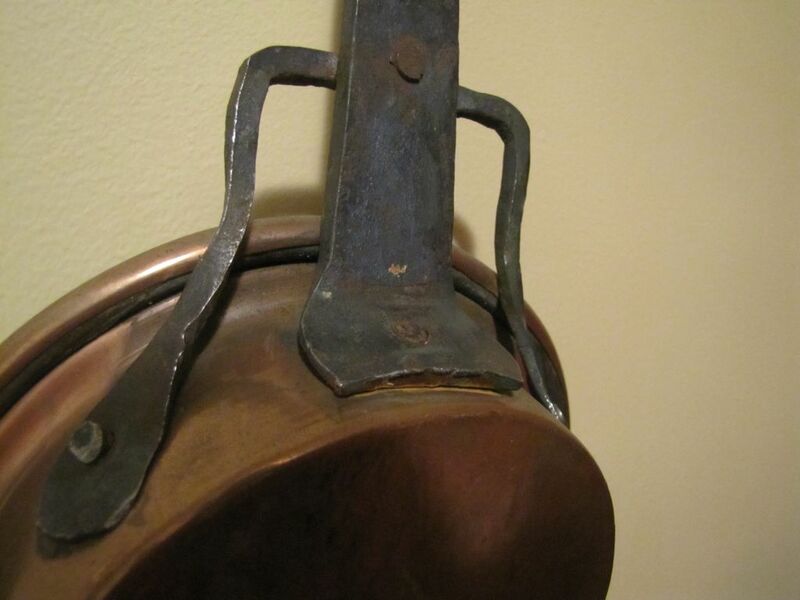 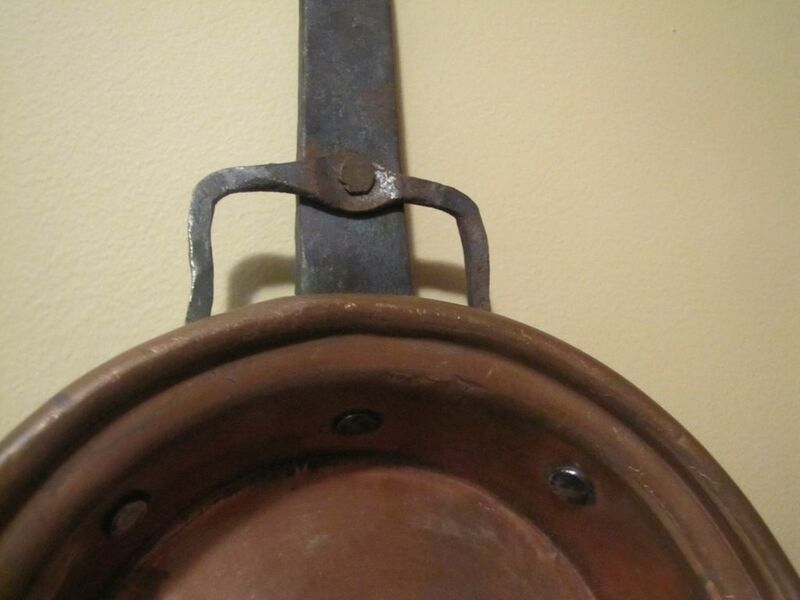 Antique copper pot or pan with a hand made wrought iron long handle. 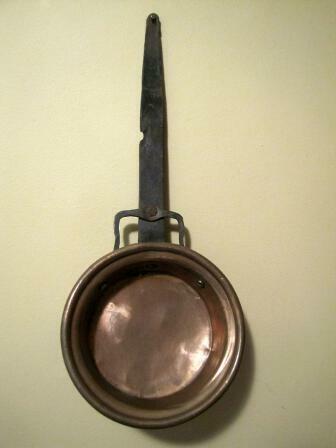 The pan including the handle measures 15" long with the copper pan measuring 6 1/2" in diameter by 2" deep. 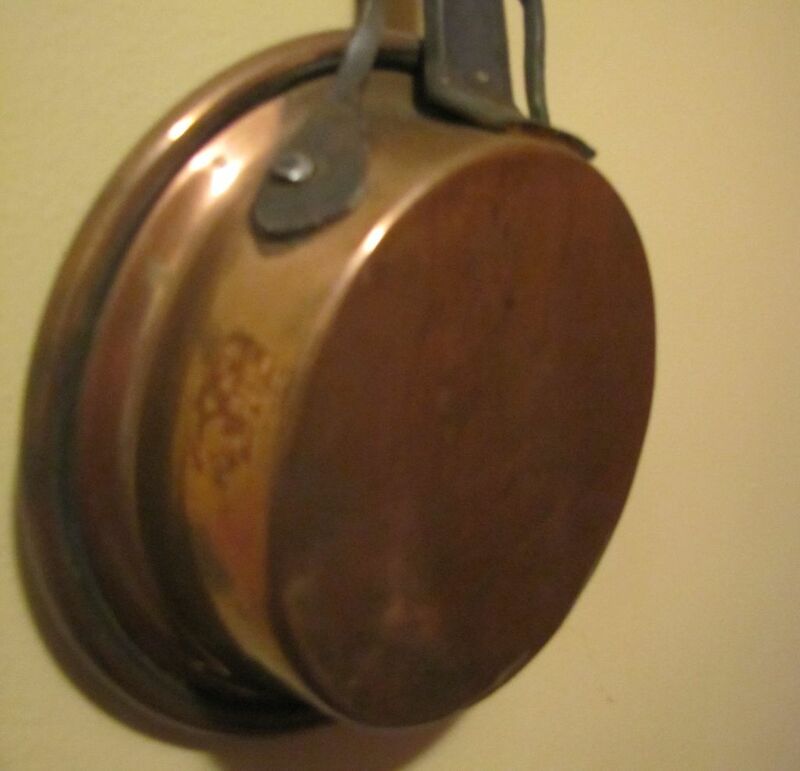 The pan has a rolled lip also. 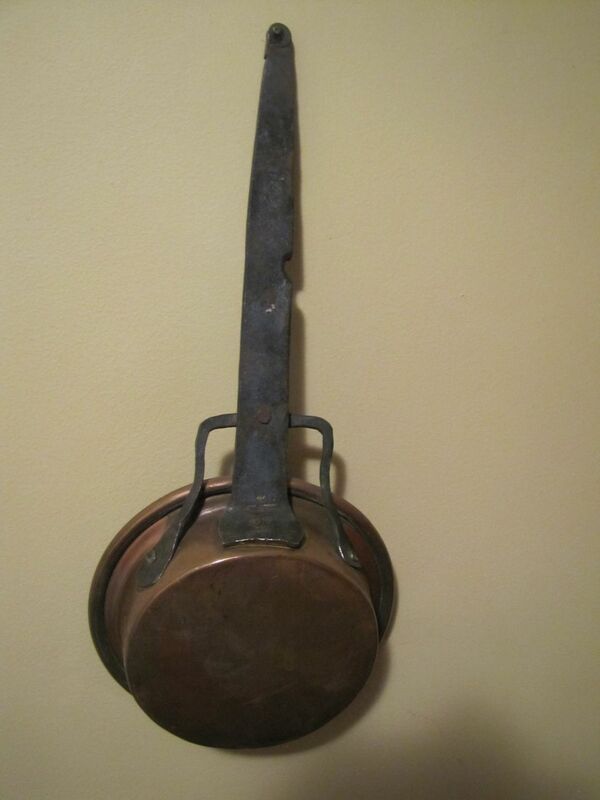 A very primitive pan, which would look really great hanging in a fireplace, kitchen or hearth. I was told it dates to the 1700's.